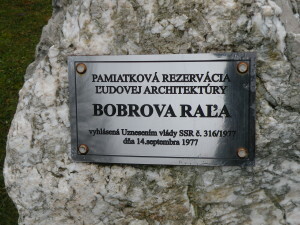 In principial Podbiel street you can find a popular historical reserve, called Bobrova Ral’a. 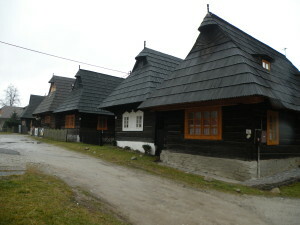 Most houses are uninhabited and some of them are used for recreational purposes. These wooden houses, built at the final 19th and early 20th century, is the greatest patrimony Podbiel has. 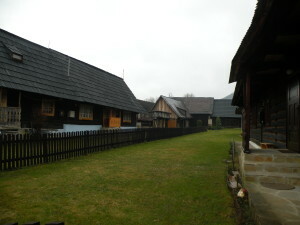 Over 65 houses (approx) we can see a traditional wooden architecture. 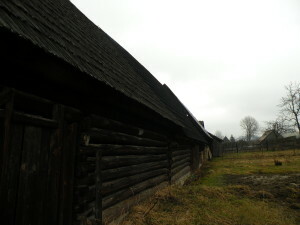 The basic materials of construction of houses and farm buildings are wooden. The houses are made of truncated beams from two sides. They are built on a low wall base slightly offset from the field of thermal insulation and moisture stone. The joints between the beams are filled with moss and external walls are not resolved. In the gable wall there are two associated windows in the courtyard wall of the room tends to be a window, and in the back room (chamber) one or two windows. Mr.Krupa placed a wooden sculpture of Jánošik next to wooden cottages on Bobrova Rali. The motion is anabled through a mechanism driven by the flow of local brook. 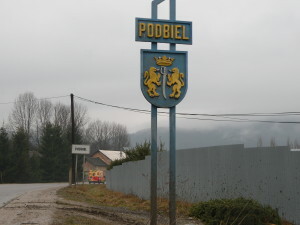 If we turn right to the rohace at podbiel we will soon spot a similar figure, this time a woman hay maker, eagerly raking grass thanks to a mechanism using the force of water flow.